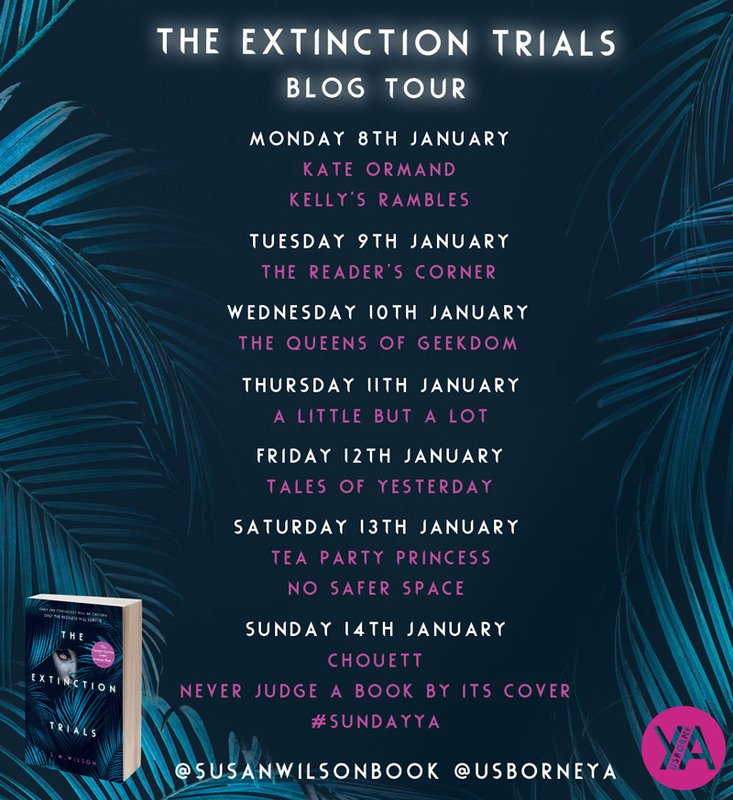 Today I am roaring with excitement to have the awesome S M Wilson on Tales with a fab guest post to celebrate the release of her debut YA, The Extinction Trials. The Extinction Trials was released on the 28th December 2017 published by the wonderful Usborne and I’ve heard if you are a fan of dinosaurs then this is the book for you! So today S M Wilson tells us all about the art of survival in a dinosaur book…..lets jump straight in! Stormchaser wants to escape her starved, grey life. Lincoln wants to save his dying sister. Their only chance is to join an expedition to a deadly country to steal the eggs of vicious dinosaurs. If they succeed, their reward is a new life filled with riches. But in a land full of monsters – both human and reptilian – only the ruthless will survive. Jurassic Park meets The Hunger Games in this epic new series. otherwise known as picking your favourite dinosaur to eat someone and losing characters along the way…. We’ve all settled down to watch the next episode of Star Trek and noticed the previously unseen Ensign sitting at the front of the Enterprise. Any Star Trek fan at this point sighs and says “Well, they’re going to die!” And within five minutes, they generally do. That’s also the trouble with writing a book that spends a long time on a continent filled with deadly dinosaurs. There have to be some spare characters to lose along the way. So how do you decide? Here’s the thing. I hadn’t really. I didn’t start this book knowing who was going to come to a grim end beforehand. Things tended to happen…spontaneously. As did the dinosaur killings. They were mainly motivated by the landscape around them and the fact I wanted a few surprises in the stories. Storm and Lincoln were always my main characters, but that doesn’t guarantee survival. I also have a group of three friends, a stranger, and a whole host of other finalists who end up on the dinosaur continent. And every story needs a bad guy. A Darth Vader. Mine is called Reban Don. But why have one bad guy when you can have two? Enter Galen. Bad guy number two. But as you automatically eliminate one of these from your mind, just remember, where’s the fun in killing the bad guy? Isn’t it more fun keeping him alive and a constant threat? It would probably surprise you how much we don’t actually know about the dinosaurs we’ve discovered. Scientists have looked at bones and stomach contents and came to some conclusions. But do we really know how clever they were? How they hunted? How they lived? There are really so many unanswered questions. Since I started writing Extinction Trials I’ve found so much speculation and differing opinions online. T-rexess had feathers. The discovery in South Korea – is it an Ultrasaurus or a Supersaurus? Did newborn pterosaurs actually walk instead of fly? For me as an author it means I can have a little leeway when I write. Here’s a spoiler. My pterosaurs might attack humans at one point. Do we have any evidence of this? Well no. Pterosaurs and humans didn’t exist at the same time on Earth, but on my Earth? Well, anything can happen – and usually does. You can buy a copy of The Extinction Trials here or from your local bookshop! 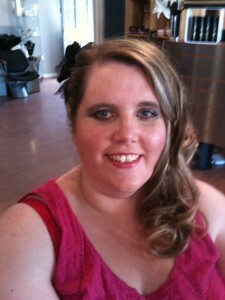 Susan Wilson lives on the west coast of Scotland with her fiancé and two sons. 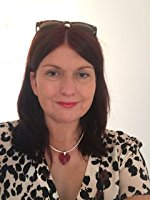 She’s worked in the NHS for 25 years – her day job is as a nurse in public health – her dream job is writing fiction. Her love of YA fiction started as a teenager and has never stopped. The Extinction Trials was written for her two sons to try and infect them with the same love of reading that she has. Watch out – she’s hoping it’s contagious! A huge thank you to S M Wilson for such a fab guest post and to Stevie at Usborne for asking me to host and be part of the blog tour. As you’ll see from the graphic above, the tour ends on Sunday evening on #SundayYA. Susan will be a guest during the chat, and will *DRUM ROLL*, officially reveal the title and the cover for book 2. Usborne will then be sending out the January Usborne YA newsletter the following week with an exclusive chapter extract from book 2, and another chance to win a signed copy. Firstly, if you’re not signed up to the newsletter – do it! It’s a fun one, and the host competitions all the time. Have you read The Extinction Trials? What did you think? What was your favourite part? If you have not read it yet have we tempted you to go and grab a copy? I would love to hear from you! Why not leave a comment using the reply button at the top of this post or tweet me on twitter using @chelleytoy! 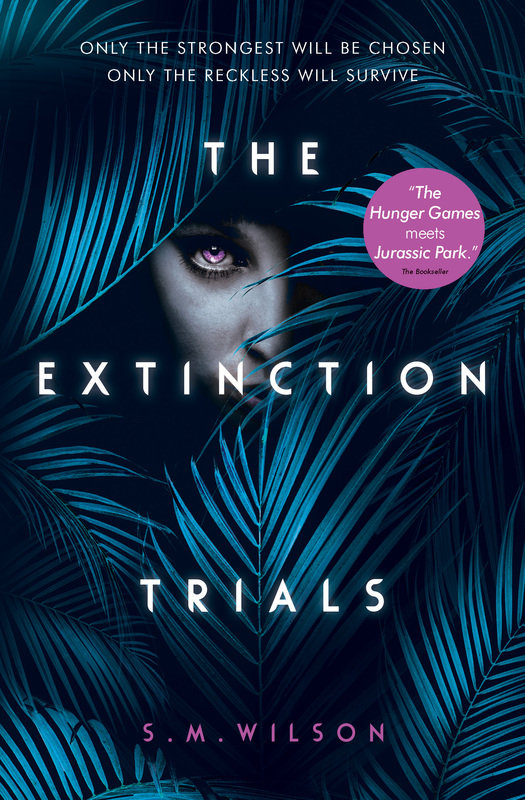 This entry was posted in Dystopian, Guest Post, UKYA, YA and tagged Dystopian, Guest Post, S M Wilson, The Extinction Trials, UKYA, Usborne, YA on January 12, 2018 by Chelley Toy. I loved this book so much and what a great post! Thanks for sharing. I loved how dinosaurs were portrayed in Extinction Trials. I love anything to do with dinosaurs …. just fascinating!